Although accommodation options in Paris are extremely limited, lastminute.co.nz offers numerous luxury and budget hotels for the region. Within driving distance of Paris, you can select from approximately 42 hotels. Looking for a place to stay near Paris? Check out the Salamander Resort And Spa, in neighbouring Virginia. 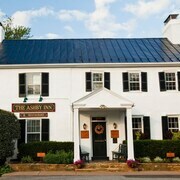 If those options don't float your boat, check out the latest deals at the Goodstone Inn & Restaurant in Virginia. The Hillbrook Inn is 25 kilometres from the centre of Paris. Another option is the Middleburg Country Inn, which is positioned 19 kilometres away. Two more options worth checking out around Paris are the Hampton Inn and Suites Charles Town and the The Carriage Inn B&B. For those who'd like to see more of this fabulous part of United States of America, we recommend planning an extra night or two in the Shenandoah Valley region. Join locals hiking, caving and horse riding, check out local attractions, or just take it easy and enjoy the valleys. lastminute.co.nz can help you find the perfect hotel. 25 kilometres to the southwest of Paris is Front Royal, where visitors can enjoy the Skyline Caverns. 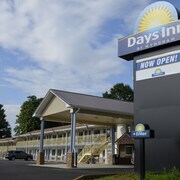 Front Royal features a range of good places to stay, including the Hampton Inn Front Royal and Cool Harbor Motel. While exploring the region, you might like to visit Strasburg, where you can explore the Cedar Creek and Belle Grove National Historical Park. Strasburg is 40 kilometres to the west of Paris. 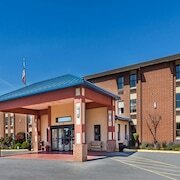 Accommodation options in Strasburg include the Fairfield Inn & Suites Strasburg Shenandoah Valley and Hotel Strasburg. Just because you're on vacation, doesn't mean you can't enjoy your love of sports. You will find Comcast Center 85 kilometres to the east of Paris. Those sports fans wanting to find a bed near to the sporting action can take their choice from the College Park Marriott Hotel & Conference Center or the Hampton Inn College Park. 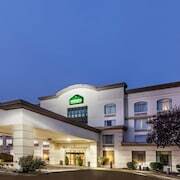 If you're flying into or out of Washington Dulles International Airport and looking to stay nearby, try the Embassy Suites Dulles Airport or the Washington Dulles Airport Marriott.